First it nagged me about the new update: My old iPad 2 kept popping up the dialog box informing me about the availability of the new iOs 9.3. Then I gave in: Yesterday I finally gave in an started the update process. EVerything downloaded OK and seemed to install OK too. Did it work? Unfortunately no - Everything when fine until when the newly updated iPad wanted to authenticate with Apple. Well, this seems like an endless authentication loop. Then you see it: When you start searching the net you pretty soon see a pattern. Loads of people have experienced the same problem, and loads of people now have a bricked iPad! Ok, connect to iTunes, they say: I have Windows 10 x64 and did my latest version of iTunes ever detect the bricked iPad? Of couse not!! I also tried the raw connect mode on the iPad (“After a full stop of the iPad - hold both the on-button and Home-button at the same time when it starts. 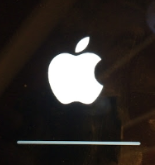 After you see the logo, release the on-button after 4 seconds” - if everything works you should see the iTunes/USB connect image on the pad). And after a while I got the error message 4018 ... pheew, things should never be straight forward! Today I switched cable (albeit the old one both is an original cable, and has worked flawlessly for many years), and then the update process actually went somewhere!! It couldn’t update properly, so I went for a full restore as new machine instead.